Leaves are falling, classes are starting – yup, it’s September again. But before rushing back to your hectic lives, take a break to check out our general meeting! On Friday, we will give an introduction about FOLD, our upcoming projects, and details about how you can get involved. 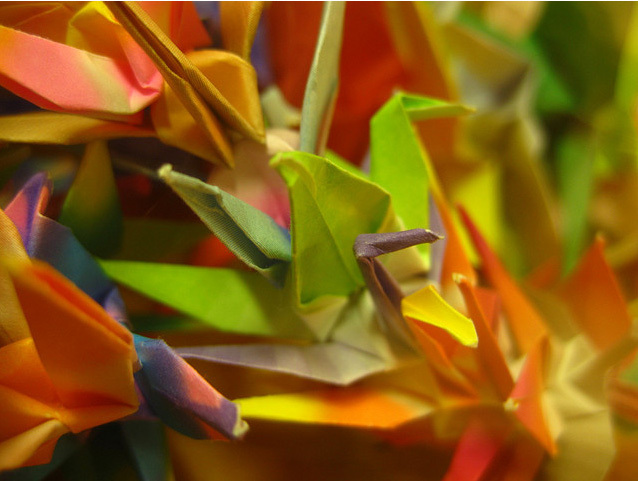 We will get started on our first project of the year – folding 1000 paper cranes for the Canadian Cancer Society. There will also be mini-workshops showing you how to fold the trendiest origami models. Come to meet new people, make new friends, or just relax and have fun! All is welcome. Membership packages and origami jewelry will be sold at this event to fundraise for the upcoming year.